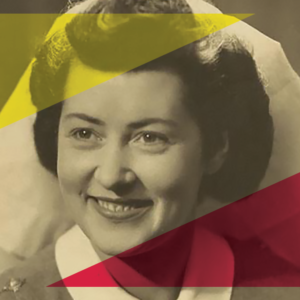 At the age of 88 Phyllis JasonSmith, an Irish woman who lived most of her life in New Zealand, was awarded France’s highest accolade for exceptional courage – the Legion d’Honneur. Phyllis’s WWII tale of war, courage, romance and danger is brought to life in an acclaimed 70 minute solo performance written and acted by her daughter Kate JasonSmith. Kate herself grew up in Pukerua Bay, then went on to an extensive career in the performing arts. Her skills have encompassed acting, directing, writing and set design – around the world – though she may be best known in New Zealand as the creator and producer of the iconic women’s comedy company Hens’ Teeth.